EQUiTORIAL: Would you rather brand or innovate? 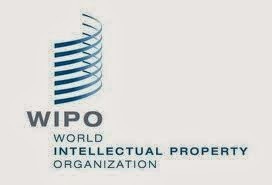 WIPO is the UN body for Intellectual Property and has been around since 1967. The body recognises the vital role that intellectual property plays at the heart of business and entrepreneurship. Till recently, intellectual property was largely construed to mean innovation and patents. And a body like WIPO tracks the number of patents registered as a means of assessing growth in innovation. They generate maps depicting the innovation rich parts of the world. This year the focus of the report has switched dramatically,certainly reflecting the times we live in. WIPO has been tracking the growth of trademark registration. It is now patently evident that these are no longer merely legal placeholders but strategic assets that power shareholder value . Every good brand is based on a proprietary notion and if there is no protection of that idea (as represented by the trademark) then the copying of ideas would be rampant. This would discourage entrepreneurs from starting new businesses thereby slowing down growth in economies. Those of you who have seen counterfeits of your brands in the market would know exactly how annoying and discouraging this is. Trademark registration has soared across the world. As consciousness grew of brands as contributors to economic value (and hence market capitalization), this was not surprising trend. The World Intellectual Property Report 2013 titled ‘Brands – Reputation and Image in the Global Marketplace’ states that in the US for the first time, investment in brands has surpassed investment in R&D and design. This is a dramatic change in the orientation of what constitutes long term value. A defining moment in the history of the world's largest economy. Obviously businesses have recognised that enterprise value does not necessarily come as much from technological innovation (product differentiation) as how their beneficiaries engage with the final outcome. I would argue that even ‘tech’ companies like Google and Intel use R&D as a means of furthering their brand idea – ‘better search’ and ‘faster chip speed’ perhaps?